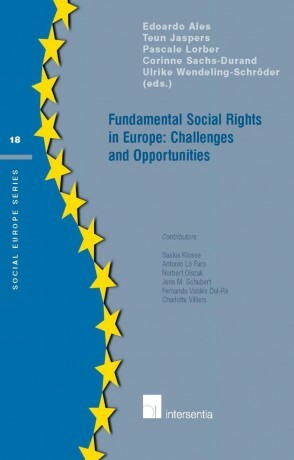 This volume offers a lawyer’s view on the meaning of fundamental social rights in today’s Europe. 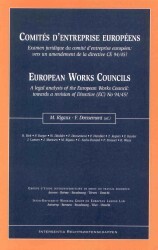 It is published on the occasion of the 10th anniversary of the EWL and reflects the research efforts the members of the European Working Group on Labour Law have made in its 10 years of existence. Experts deal with the opportunities EU law is offering and how it is fitting into the social policy of the European Union, as well as with potential threats to an effective application of the fundamental social rights. maart 2009 | xxiv + 163 blz. This volume offers a lawyer’s view on the meaning of fundamental social rights in today’s Europe. 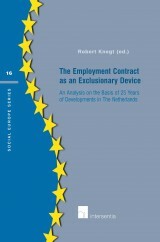 It is published on the occasion of the 10th anniversary of the EWL and reflects the research efforts the members of the European Working Group on Labour Law have made in its 10 years of existence. The recognition of fundamental social rights offers opportunities for valuing the meaning of the fundamental social rights for workers aiming at actually benefiting from these. The non-discrimination norm, since it has been long and widely recognised in EU law, is the most striking example. It has served as a catalyst for all Member States. Apart from that, the fundamental social rights as generally recognised by international organisations are also challenged in EU law. This is not only because the EU law does not explicitly grant protection to workers since some of these fundamental social rights are not covered by it, but also due to a potential collision between these rights and the fundamental freedoms of the European Community. The recent cases of Viking, Laval and Rüffert appear to deliver conclusive proof of the potential subordination of the fundamental social rights to the fundamental freedoms of the EC. 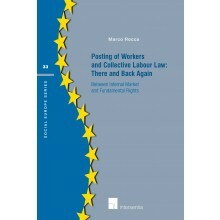 In this volume, experts in the field of European labour law, deal with the opportunities EU law is offering and how it is fitting into the social policy of the European Union, as well as with potential threats to an effective application of the fundamental social rights. Some of the contributions refer to the cases of Viking, Laval and Rüffert as to their impact on the right to collective action as well as its meaning for the establishment of decent employment conditions, and in particular the right to a decent wage which is one of the ‘oldest’ fundamental social rights. Another crucial issue that is touched upon in this volume is the right to work and the right of protection for workers. 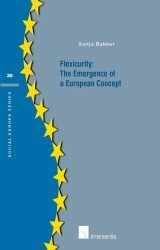 The objective that is advocated in the EU as a cornerstone of modern social policy is the combination of flexibility and security, in one word: flexicurity, which has been analysed in terms of contributing to or jeopardising the position of the employee. It is the supposed dilemma of the protection of the ‘haves’ at the expense of the ‘have nots’, ‘insiders versus outsiders’. A third topic is the fundamental right connected to the freedom of association. A problem that has recently raised a lot of discussion and legislative proposals is whether sufficient representativeness of trade unions is required in order to be legitimised for collective bargaining and the conclusion of binding collective agreements. Linked to this is the effective recognition of the right of participation for workers and their representatives at enterprise level: the right to information and consultation, its scope and its effect. What these contributions have in common is the question whether European law has to play a harmonising or only a facilitating role. 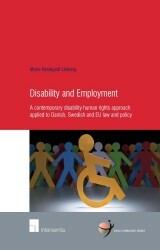 Can or must the European Union contribute to the upgrading of the meaning and the impact of fundamental social rights in the labour law of the EU and its Member States, and if so, to what extent and in which way? Contributions by Saskia Klosse, Antonio Lo Faro, Norbert Olszak, Jens M. Schubert, Fernando Valdés Dal-Ré and Charlotte Villiers. Ruth Nielsen in CMLR (2011) 648.